We appreciate all the ways that you support HCA on our annual mission trips. Both your prayers and your financial contributions help make it possible for our students to share the love of Jesus across the globe. To make a donation toward an HCA student's mission trip, please click HERE. 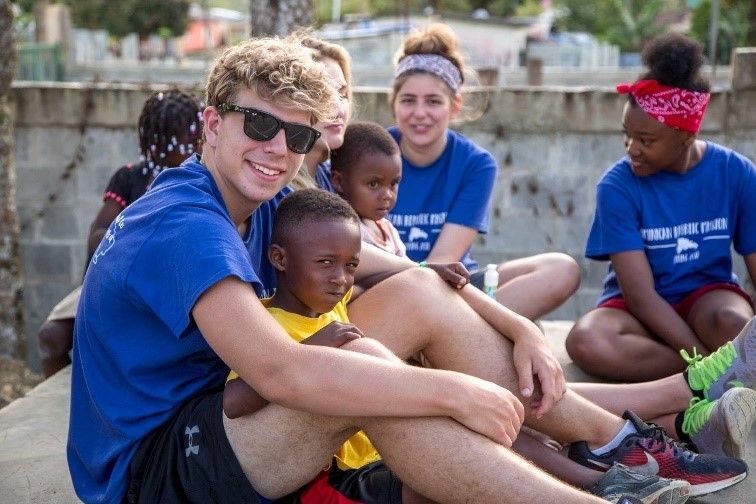 During Spring Break 2019, HCA will be serving in Los Alcarrizos, Dominican Republic, in partnership with Lighthouse Ministries. Lighthouse Ministries has served there for the last 20 years, providing k-12 Christian education, purified water for the locals, and vocational training for adults in the community. This year we have the incredible opportunity to work, teach, and share the love of Christ with the people of Los Alcarrizos, a community of roughly 300,000 people. Our students will help build the vocational training building where young adults will get to experience the love of Christ as they learn different trades like auto mechanics, carpentry, and cosmetology. 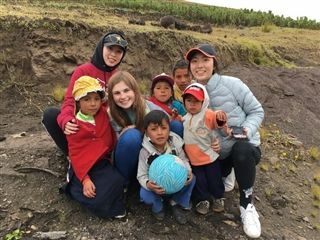 On March 27th, 2019, students from HCA will depart on a mission trip to Ecuador. They will be ministering to the people of Cajabamba and assisting the local missionaries in their efforts to share the Gospel and show the love of Jesus Christ. On this trip, our students will be working with a local pastor to help complete construction on a new church/medical aide building, which will serve the people of the surrounding community. They will also be traveling to some of their thirteen church plants in the remote villages among the Qechuan people, where they will conduct Vacation Bible Schools for the children there. Do you want to make a difference during Spring Break? Check out these amazing mission opportunities offered through Hebron Church to learn how you can share your story and introduce others to Jesus Christ! Space is limited, so make sure to apply soon. This group will team up with Hebron's ministry partner, Jibou Baptist Church, to love and serve the marginalized Romas community. The team will continue work that Hebron has been a part of in the past to begin planting a church among the Romas. The focus of this trip includes sharing the gospel and equipping those in the community to share with their neighbors. Join this team and work with Hebron's ministry partner in Delhi, India, as well as two of Hebron's mid-term missionaries! Our brothers and sisters in India are among the least reached people on the planet, so we want our time with them to be uplifting and encouraging. The team will also participate in outreach opportunities in which they will share their story and the gospel with many people who have never heard the name of Jesus. This team will work with missionaries Jay and Courtney Nelson in Sabaneta, Dominican Republic. The group will focus on strengthening the church plant that already exists in Sabeneta, as well as reaching the people of Sabaneta through various activities such as sports, home visits, and visiting a Haitian refugee camp.